Icenetwork.com posted an article with picks by some of their correspondents. I decided to do the same ’cause it seemed fun. Agree or disagree? Link to your blog in the comments or just comment! Oh Jeremy, so much talent… if only you can hold it together. Exogenesis is a lovely intricate program that deserves a perfect skate. It showcases Abbott’s skating skills – it’s a difficult program to execute but on a good day, Jeremy’s able to weave gorgeous transitional elements between the jumps and when that happens, it’s pure gold. In general, a good break from Morozov programs. The JSF can be reluctant to back Akiko but at 27, she’s a fighter and now, a deserving World medalist. However, Akiko’s best quality is really her love and passion for skating that shines through at every performance and her ability to bounce back and sell her programs despite any mistakes she makes. Die Fledermaus could do with some tweaks in the choreography – maybe be a little better timed to the music and have a few more transitions – but it was a great program for highlighting Akiko’s new confidence and poise that was evident from the very beginning of the season. I doubt that she’ll use this program again but I know I’ll be looking forward to her skate no matter what she skates to next season. Although I did say that I’m not a huge fan of Ashley Wagner in another post, I admit that I adore the cheesy choreography in her spiral sequence in Black Swan. 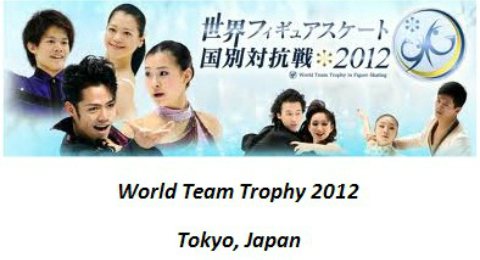 Although this program has carried Wagner to several victories and medals, I feel that the choreography can be improved. The beginning of the program is quite empty and it feels as if most of the music is taken up by Wagner skating around to prepare for jumps. Which programs do you want to see again next season? Everyone seems to be talking about Gracie Gold this season and as the Junior World silver medalist, I guess that the talk is warranted. A lot of the excitement stems from the U.S.’ lack of ladies on the World podium as the days of Nancy Kerrigan, Kristi Yamaguchi, Sasha Cohen, Michelle Kwan and the rest are now long gone. None of the current senior ladies seems to have what it takes to stay even in the top 5 for more than a season and the need of a saviour in time for Sochi is great. Ashely Wagner may be improving but she’s had a history of being a headcase. That and I don’t find her particularly amiable, which is detrimental to a skater looking for endorsements. Gracie Gold on the other hand, is young, has tons of potential and has this sweet Taylor Swift-ish charm about her. However, there’s something off about her skating hence my reluctance to label her as the future of figure skating. Her jumps are impressive but they lack flow coming out of them. She also, unfortunately, does not make use of her long limbs which can form lovely lines. Instead, her limbs – especially her arms – tend to lumber around though thankfully not in the Evan Lysacek-esque epileptic fashion. I’d also like to see more expression in her skating – which would be aided by better use of her arms and legs – and she really needs to push through in the performance aspect of her skating because time is running out for her as she pushes on into the senior ranks. In my theoretical figure skating world, I’m not sure if she should go to the duo of Brian Orser and David Wilson. Orser would be a great coach in perfecting her jumps while Wilson could make lovely choreography to bring out her personality. The only detriment is that judging from Yuna Kim and Christina Gao’s skating, details like extension and posture aren’t too much of a concern to Orser and Gold could benefit from having both of these qualities. One coach and choreographer that may improve Gold is Shae-Lynn Bourne, though I’m not sure if Gold is ready or mature enough to take on Shae-Lynn’s programs. In any case, a coaching change should be put into order if Gold wants to 1) improve enough to compete with the big girls – though at this point, she might be able to break into the top 10 at Worlds immediately since the ladies field is quite weak right now – and 2) send a political message that she means to be on the podium at Sochi. Right now, however, I see more of a glittering future for Gracie (if she continues to improve) in Pyeongchang 2018 rather than Sochi. In the end, let’s hope that she doesn’t waste her potential like Caroline Zhang. What are your thoughts on Gracie Gold? I’d love to hear them! Just when I thought I could take a little break, I realize that the second WTT has descended upon us and I believe the competition will start in an hour or so. Ahhhh!!! Well, at least I got an unexpected period of spare time and will provide you with these predictions. Here is how I think the competition will pan out. I never seem to be able to catch a break these days. Just when things were calming down, I find myself with a gazillion things to do again. So much for a vacation. In any case, I’ll try to finish up the Worlds posts. All I have left to write about is the ladies’ competition. But before that, let’s take a look at the results of the pairs LP.